Please join us for art and refreshments! 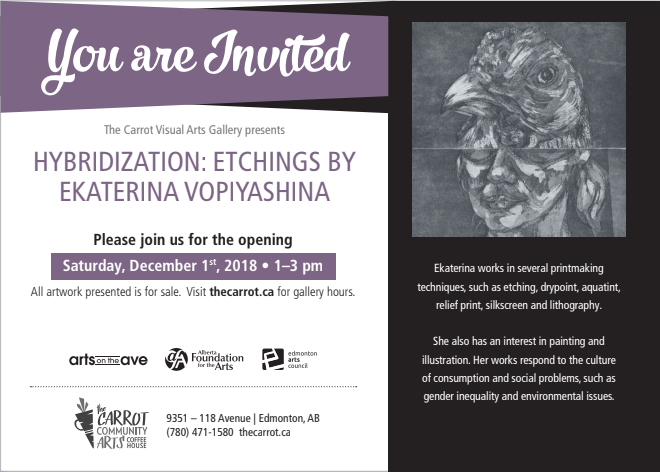 Ekaterina Vopiyashina will be present to talk about her work. We will also have a selection of vintage-style handmade cards by the artist, available for sale at The Carrot Dec. 1-22. As a special treat, the artist will have a small selection of complimentary cards for guests, so make sure to stop by!